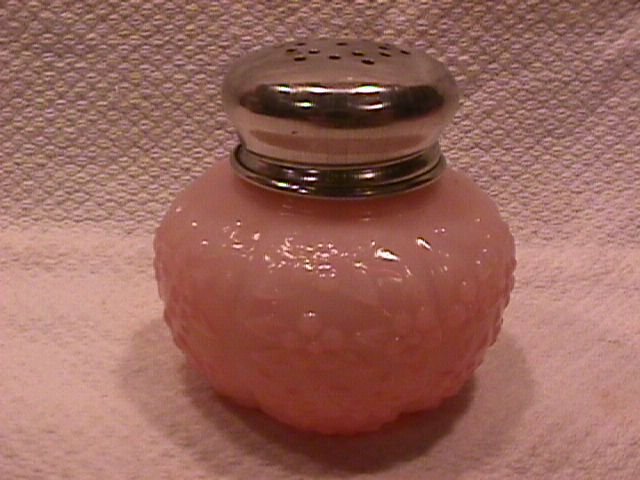 Antique RARE Challinor & Taylor "Forget Me Not" Salmon Pink Opaline Shaker. 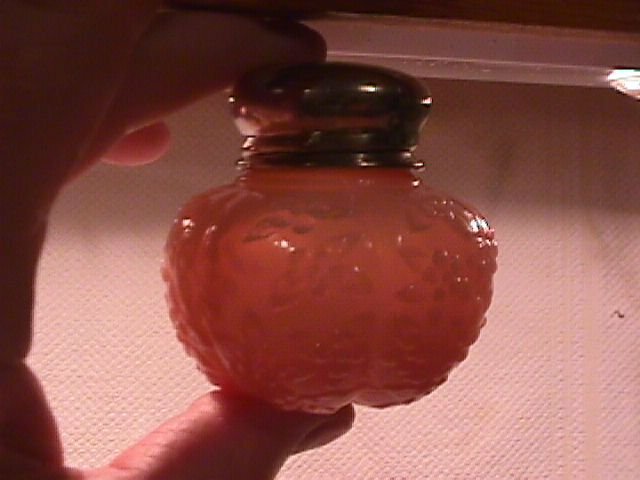 This Shaker is 2 3/8" Wide by 2 1/2" Tall. 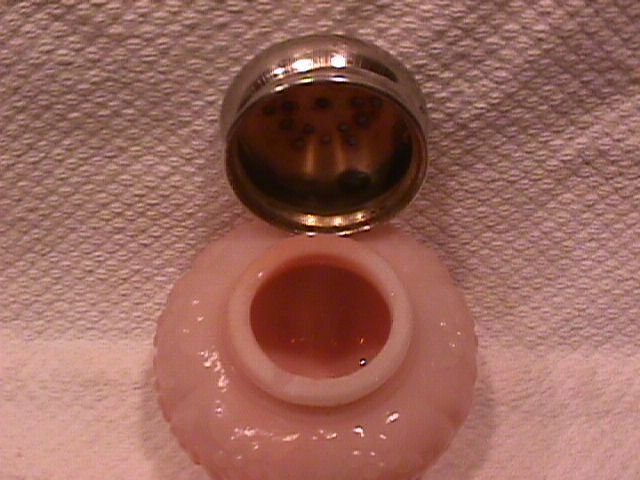 It is Blown, and is Salmon Pink Opaline on the Bottom Fading to Light Pink at the Top. It has the Original Chrome Top with 19 Holes in a Snowflake Pattern. 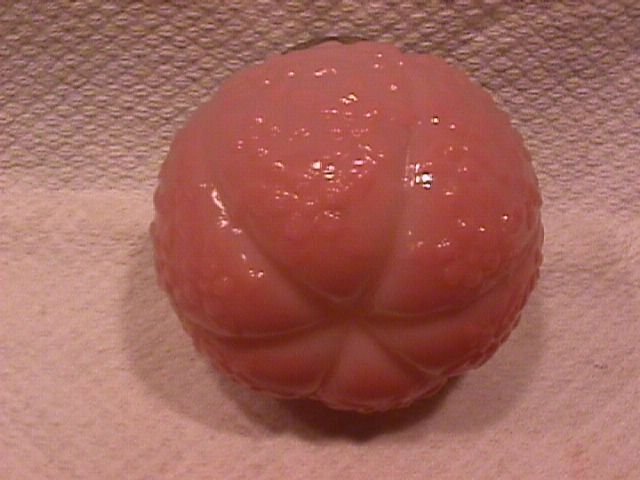 The Top has a Little Discolor on the Inside. It was made in 1885 and the Replacement value is $125.00. Items Similar To "Challinor & Taylor "Forget Me Not" Salmon Opaline Shaker"